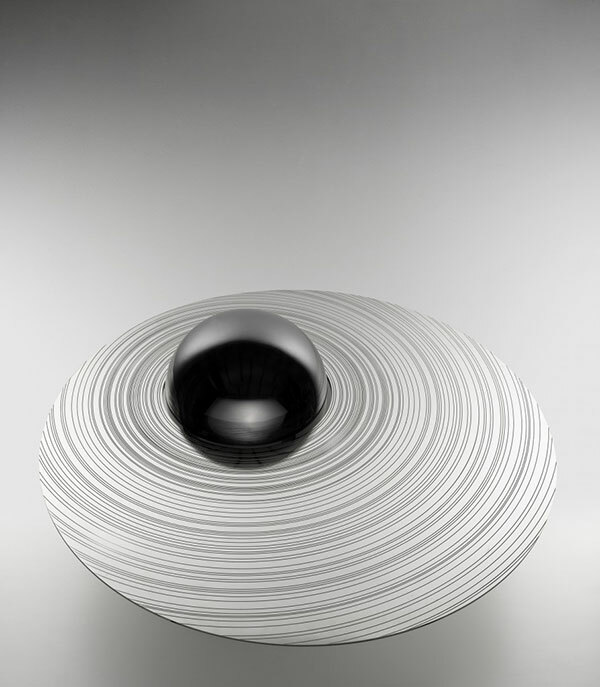 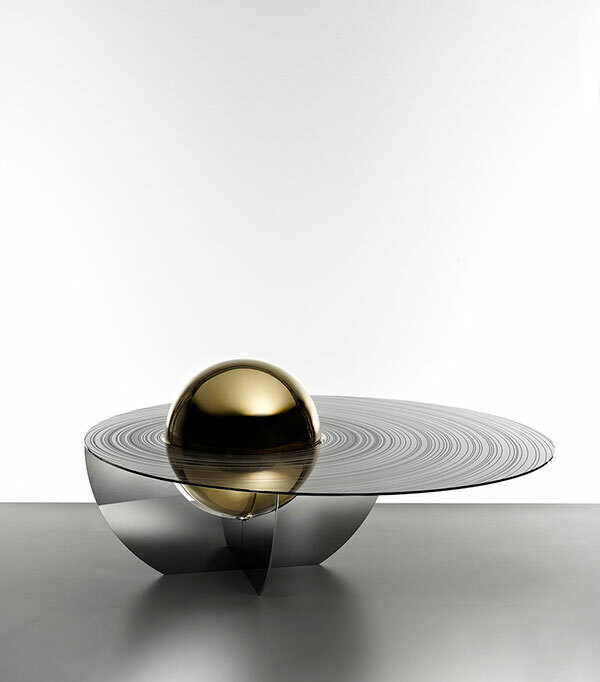 A table resembling Saturn and its rings by British designers Brooksbank & Collins. 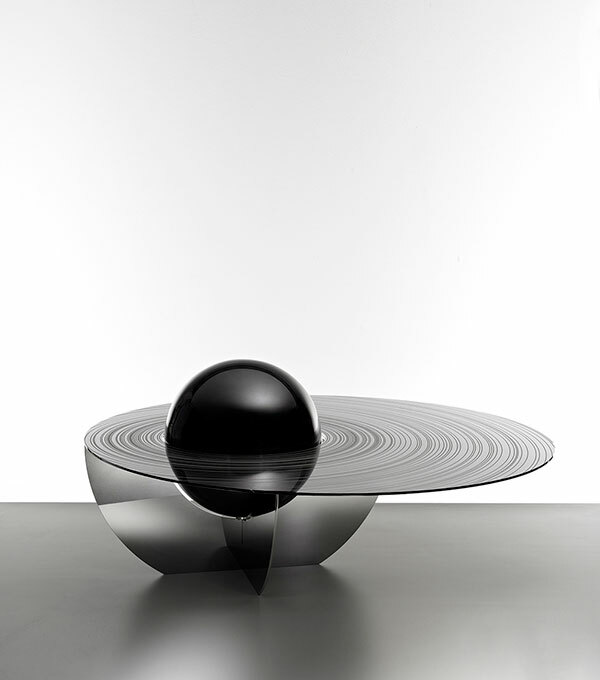 Named after neoclassical architect Etienne Louis Boullee (1728–1799), the Boullee Table is constructed from a sphere, disc, and axial base which interlock in accordance with the movement of the heavens. 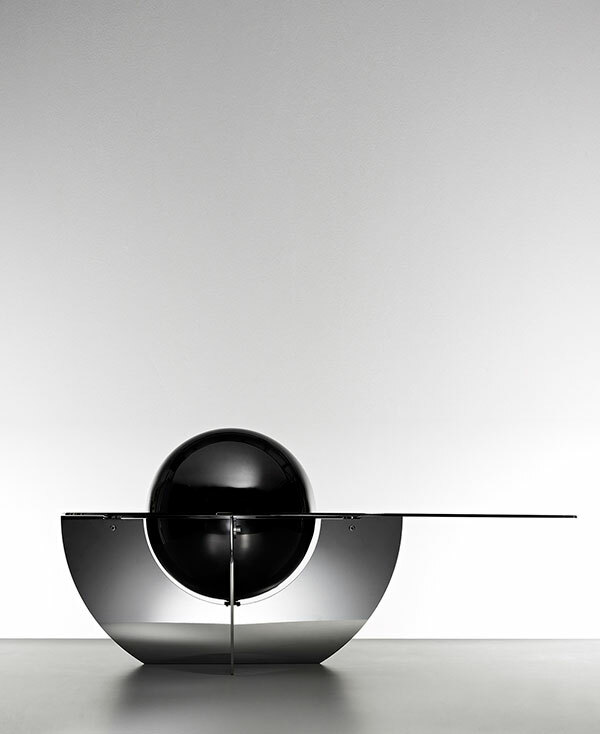 The sphere, which is available in black, brass, or mirror polish, and the acid etched stainless steel gives the design an ethereal feel.